So you’ve lost your phone. We’ve all been there. It was just in your pocket a minute ago — and now it’s gone, lost to the phone fairies, forgotten between the seats of your couch, or misplaced somewhere during your busy day. Maybe it’s just in your other coat, or maybe it’s already in the hands of someone who found it on the sidewalk. Either way, all you want to do is get it back. Thankfully, there are plenty of ways to get a hold of your missing phone. If it’s a smartphone (or even a tablet) running iOS or Android, chances are good it already has the software needed to hunt it down — or there’s an app you can install to track your phone. 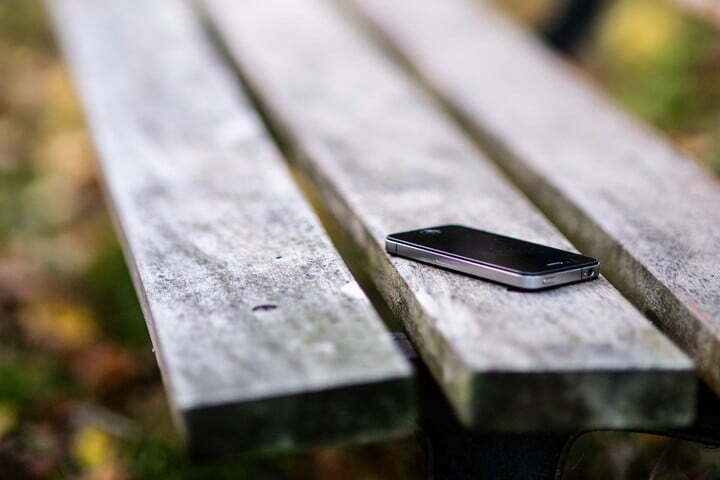 Here’s our guide on how to find a lost phone or a similar device. Have you ever wondered what happens to a smartphone after it’s stolen? Read how this filmmaker spied on a thief to find out. If your lost phone happens to be a smartphone, the major smartphone platform providers (Apple and Google) include phone retrieval technology in their smartphones. These apps work through the account associated with your device. For Android devices this is your Google account, and for iPhones, this is your iCloud account. Both allow you to remotely lock and wipe your phone, make it ring, and set up special messages to alert whoever finds it. Of course, these features are only as good as your phone’s battery. If your smartphone dies, it’s about as easy to find as your wallet or anything else you might misplace. We also recommend caution when communicating with anyone who has found your smartphone. Be careful to avoid giving away any personal information, such as your home address, until you know you’re dealing with someone you can trust. Stick with sending phone numbers or email addresses to communicate how the good Samaritan can return your phone. Here’s how each of the operating systems works. Android not only offers Google’s proprietary service for finding and managing your device remotely but also a number of third-party apps designed for finding your smartphone. The easiest to use is Find My Device, which is built directly into your Android smartphone through Google Play Services — it can also be used in a browser or downloaded from the Google Play Store. Most devices running Android 2.3 or later should be able to use this feature. 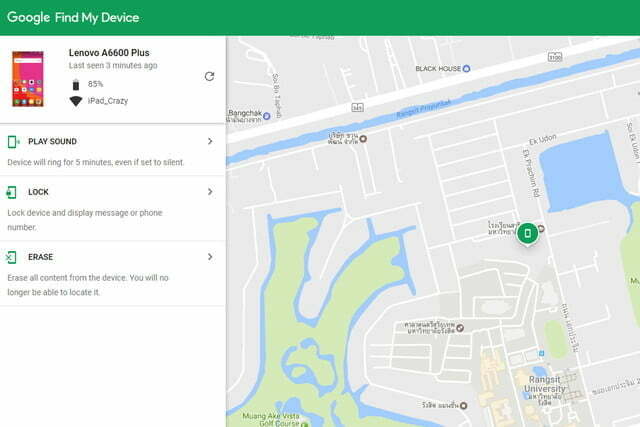 Using the feature is as easy as searching “Where is my phone” in Google, which will prompt the service to start looking for your smartphone. We’ve previously written about Find My Device and its ability to call you, set up a new password, and make your phone ring from afar, along with the variety of other functions it uses for notification purposes. While you can configure Find My Device ahead of time, the service should be available in the event you lose or misplace your phone. It will use Wi-Fi or GPS to help you hunt down your device. 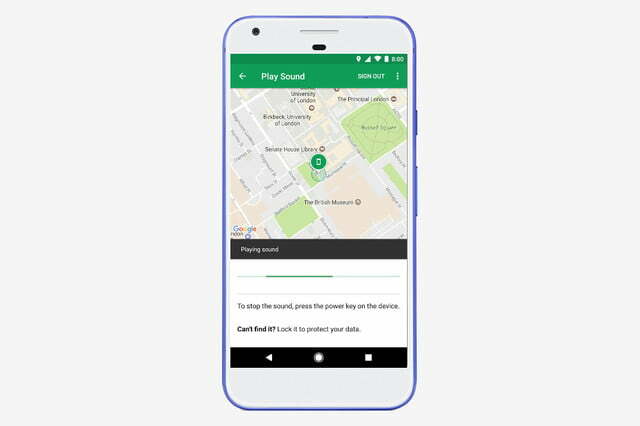 To verify your Android smartphone has the Find My Device feature turned on, go to Settings > Google (or Google services) > Security and make sure Remotely locate this device is turned on in the Find My Device section. If you can’t find your smartphone, you can always wipe it to prevent sensitive information from getting into the wrong hands. Your device will need an internet connection and enough juice to communicate with you. In Android 5.0 Lollipop, Google also introduced Factory Reset Protection (FRP). It’s designed to prevent would-be thieves from being able to steal your phone, wipe it, and then use it or sell it. If you factory reset a phone with FRP enabled and try to set it up as a new device, you’ll be prompted to enter the username and password for the last Google account that was registered on the device, and if you can’t, the phone will remain locked. There are also third-party apps that you can install to help you find your phone. Cerberus Anti-theft is a great app that offers remote access and control, allowing you to obtain more information regarding the whereabouts of your phone. It provides a number of additional features, such as more granular control on how you track your device, screenshots of what your device is doing, photos from the camera to possibly catch the would-be thief, and other, more detailed notifications that Find My Device doesn’t offer. If your device is rooted, there are even more features available to prevent someone from resetting or turning off your device until you can recover it. 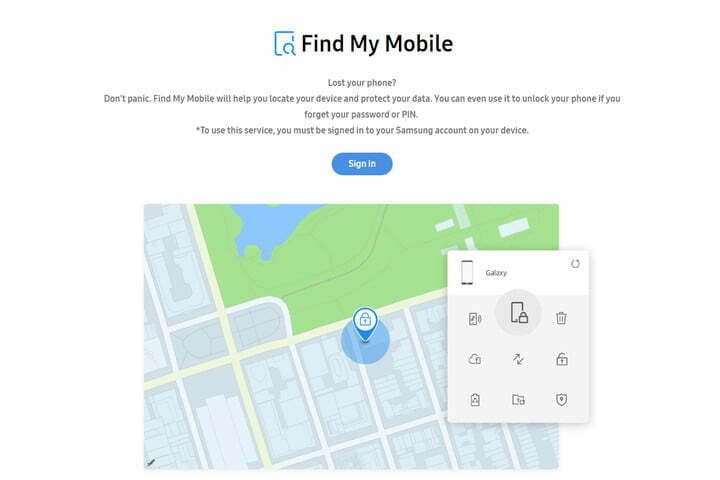 Another option for select Samsung smartphones is the Find My Mobile service. It can be used to locate a missing phone, lock it down, or wipe it completely. You’ll need a Samsung account, though, and the Remote Controls options enabled on your phone. To check and see if Find My Mobile is available for your smartphone, go to Settings > Lock screen & Security. If you see Find My Mobile in the menu, you can use the service. You can enable the Remote Controls options via Settings > Security > Find My Mobile > Remote controls.